Here’s some fanart from STS-PiaEsaya. EBF5′s final boss is looking pretty good so far, its animations are more than half done. I won’t show it off until you can fight it in the beta. This entry was posted in Epic Battle Fantasy 5 on September 2, 2018 by Matt Roszak. Sometimes the world just feels good when you come across an inside joke from across the internet. If you read this post, I will be so happy. Guy’s allowed to have fun, ain’t he? We should take that meme and push it somewhere else! xD JK! I have a couple of questions. 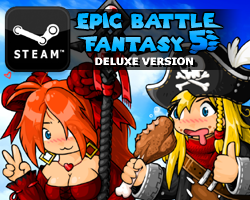 Where will EBF5 be released? 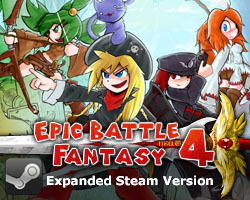 I know Steam, but will there be a free online version like EBF4? Also, would there be a way to transfer a game save from the public beta to the online version if there is going to be an online version? Please reply. Bit late for a reply, but there will very likely be a free version on kongregate. Not sure about the transfer, but a transfer from beta to steam is possible, so who knows? A name drop. Y’all talked it up and you got left with a name drop. Matt please make the final boss really really hard. Its a final boss it should be pretty hard on normal mode unlike the the godcat in ebf4 it was pretty weak on normal mode. It only got hard on hard/epic. Hard is called hard because it’s hard. Normal is for the type of people who don’t want to bother adjusting equipment, so if you do that it’ll be a breeze. 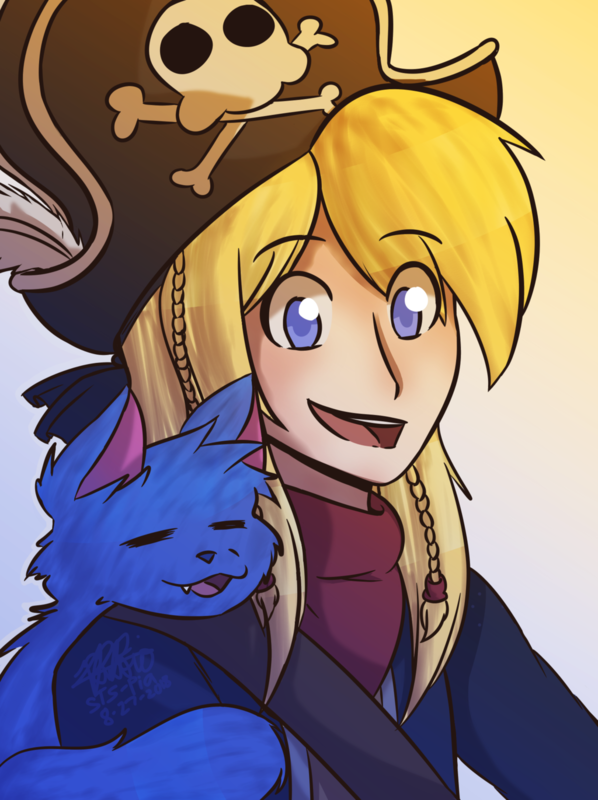 awesome fan art and When can use BETA to play EBF5 Beta? Please don’t show the final boss on demo. I think it is best to leave it a secret. Why does nobody know who did the fanart for matt’s page? It’s not fanart, it’s art that Phyrnna commissioned for the soundtrack cover. I’ll have to make a post about that at some point.